Beautiful and expressive, beluga whales are known as the canaries of the sea. But like the fate of many a songbird, belugas are continually exploited and held captive for human entertainment. The totally enchanting beluga whales are one of the most vocal of all whales and dolphins. Their musical vocalisations are so exuberant that they can often be heard above water and even through the hulls of boats. As it happens, they are also one of the only two species of cetacean who can, essentially, pull funny faces and change their facial expressions, rounding their lips as they produce certain sounds. Born dark grey, with a bluish or brownish tinge that gets lighter with age, belugas turn pure white between 5 to 12 years of age. Beluga whales are unlike any other whale, dolphin or porpoise. 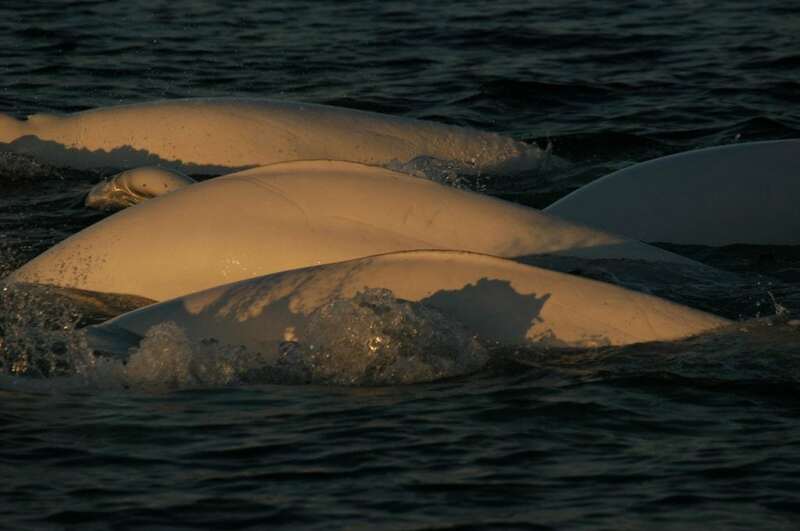 A yellowish tinge can sometimes be seen on adult belugas, caused by a layer of algae growing on their skin. This yellowy hue is soon lost during summer moulting though – a rather unusual event for cetaceans – restoring them to their pearly glow. 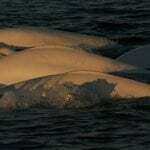 Given their choice of habitat, a belugas body needs to be robust and is wrapped in a thick layer of blubber. This often forms thick rubbery folds along the sides and belly, keeping them nice and warm. What’s life like for a beluga whale? Beluga whales lead highly social lives. They travel in relatively large pods and like to mix things up a bit it, switching between different groups on a regular basis. On the whole, males prefer travelling with each other, and females with other females and their children. Unfortunately, the heart-breaking truth is that life for belugas is extremely difficult. Natural prey for both polar bears and orcas, beluga whales have also been heavily exploited by man over the years, and it continues to this day. Hunted both for food and entertainment, these magnificent individuals often fall foul of human greed. Irresponsibly marketed by so-called marine parks, images of open-mouthed children staring up at belugas behind glass screens are all too common. Far from cute, this imprisonment is a total violation of belugas’ right to freedom and only serves to perpetuate the ongoing hunts already taking place. Eating a wide variety of fish, belugas will happily eat cod, herring and salmon, as well as squid, shrimps and crabs. Despite having teeth, belugas don’t actually chew their food, prefering to swallow it down whole. 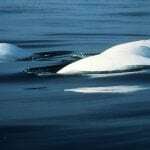 Beluga whales live in the high latitudes of the northern hemisphere in cold Arctic and sub-Arctic waters. Some populations have decided to put down roots and are resident in one particular area, for example the Cook Inlet in Alaska where unfortunately their numbers are in decline and they are recognised as being ‘Critically Endangered’. Others, however, undertake seasonal migrations to and from their favourite feeding and breeding grounds, the latter of which can be several hundred miles up-river. The neck vertebrae in beluga whale are not fused as they are in most other whales or dolphins, which gives them much greater flexibility. Belugas have been on display in captivity since 1861, when a number of individuals were captured in Canadian waters and put on display at Barnum's American Museum in New York. In 1865 the museum burnt down, killing the two remaining belugas. Belugas continued to be captured in Canadian waters until a ban was introduced in Canada in 1992. 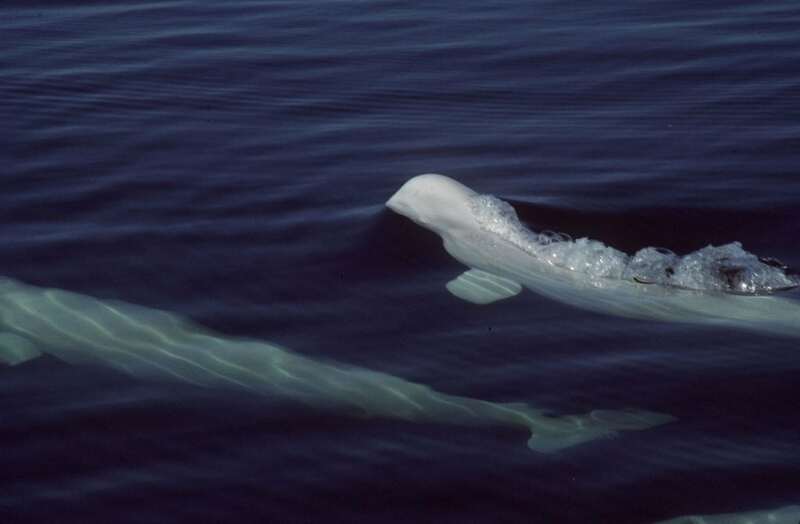 Many of the individuals alive in North American captive facilities today were taken in Canadian waters where a reported 68 belugas were captured between 1967 and 1992. 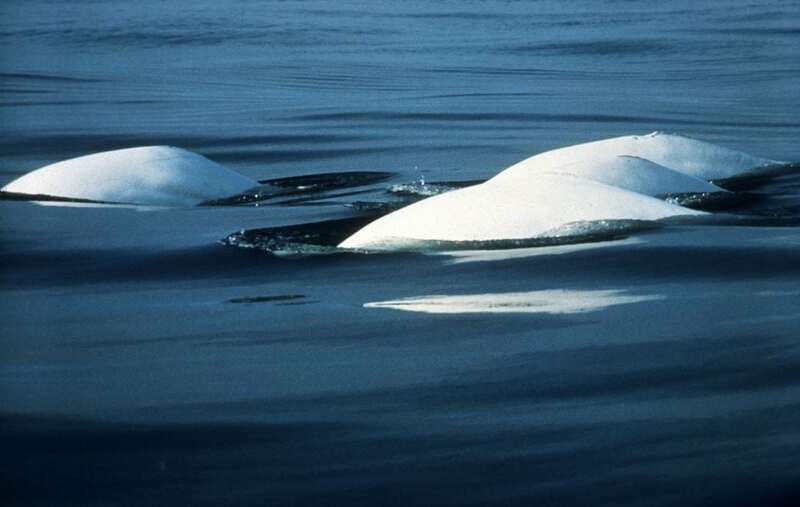 When captures ended in Canada, Russia became the sole source of belugas for the captivity industry, both in the White Sea and the Sea of Okhotsk in Far East Russia. The majority of belugas in captivity around the world were captured from the wild. During capture, belugas are approached in shallow waters by the capture team in boats, encircled using seine nets while surrounded by further boats. The captures are extremely stressful for the belugas and injury and even death are common. Once captured, belugas are often held, sometimes for months, in holding tanks, before being transported long distances by plane or ship to the facility who has ordered them. In addition to any physical injuries resulting from capture and transport, the emotional trauma as they are taken away from their social group and their natural home must be severe, as well as for those left behind, experiencing the loss of those captured. Belugas are held in marine parks and aquaria in at least 13 different countries, with the highest numbers in Canada, China, Japan, Russia, Ukraine and the US. 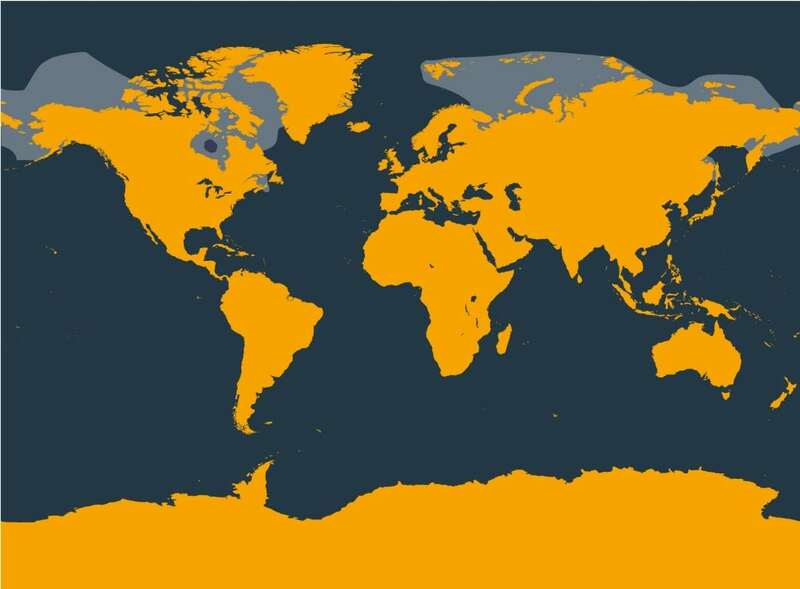 There are thought to be well over 300 belugas in captivity in these and other countries. Beluga death rates are higher in captivity than they are in the wild. While belugas live up to 60 years in the wild, in captivity they very often die before the age of 30 and sometimes much earlier. In June 2018, the Sea Life Trust, created in partnership with WDC, the world's first beluga whale sanctuary. Two beluga whales, Little Grey and Little White, who are currently held at Changfeng Ocean World in Shanghai, China, will be moved to a sanctuary being constructed in a natural bay at Heimaey, one of the Westman Islands, located off the southern coast of Iceland. The sanctuary will be completed in 2019 when the whales will be moved to their new home. 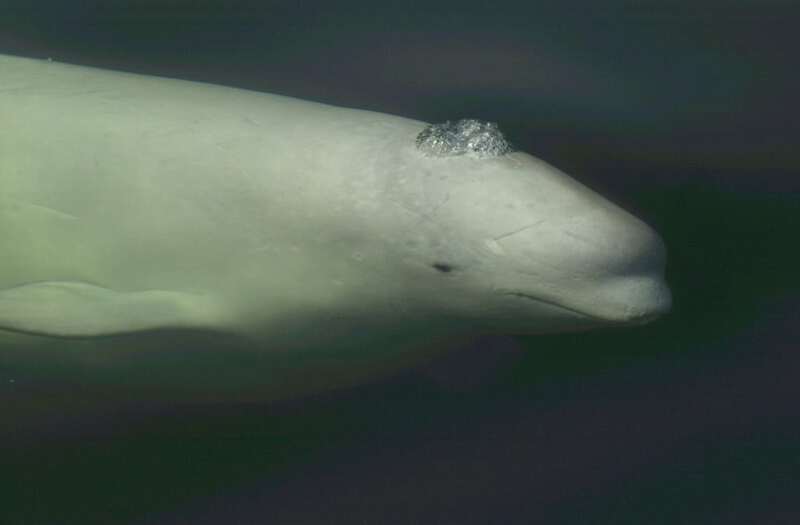 Beluga whales continue to be hunted and captured. At the same time, pollution and climate change threaten their ocean homes. 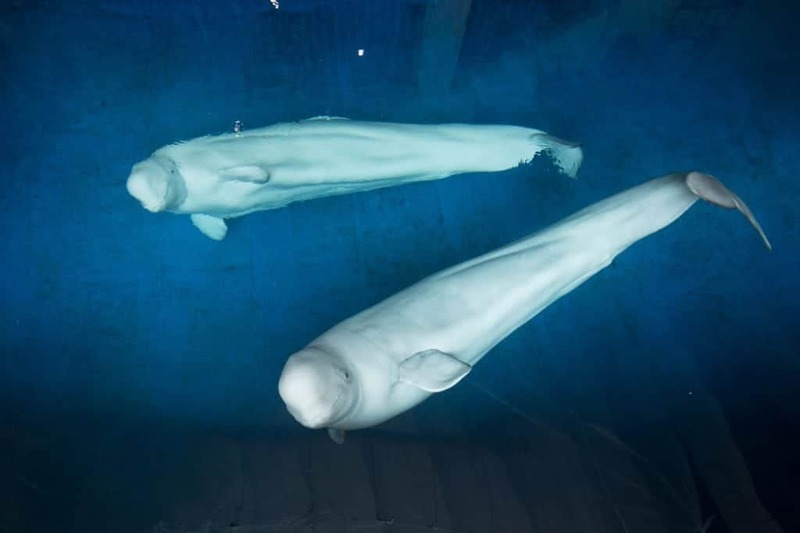 Captivity - beluga whales are still being caught and displayed in concrete tanks. WDC is working to stop this practice, and working to create sanctuaries; open water homes for ex-captive whales. 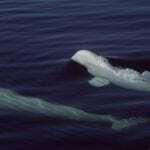 Hunting - beluga whales are hunted off the coast of Greenland, Russia, Canada and the USA. Pollution - toxic chemicals from plastic, litter and oil spills build up in beluga whales seriously harming their health and their ability to have young. Noise pollution - beluga whales rely on sound to navigate and communicate. Noise from military sonar, oil and gas drilling and exploration and shipping can disrupt and confuse them and even cause them to strand. You can help save beluga whales..
By adopting a whale or dolphin, by making a donation, or by fundraising for WDC, you can help us provide a safe future for beluga whales.